Chestnut trees grow exclusively in the northern hemisphere with several species all producing edible fruits known as chestnuts. They have a very long history, probably introduced by the Romans into the more northerly lands they conquered because they were an important part of their diet. There are American, European, Chinese and Japanese species but these shouldn't be confused, especially in Europe, with the Horse Chestnut, a completely different tree of a different family. Horse chestnuts are not edible. 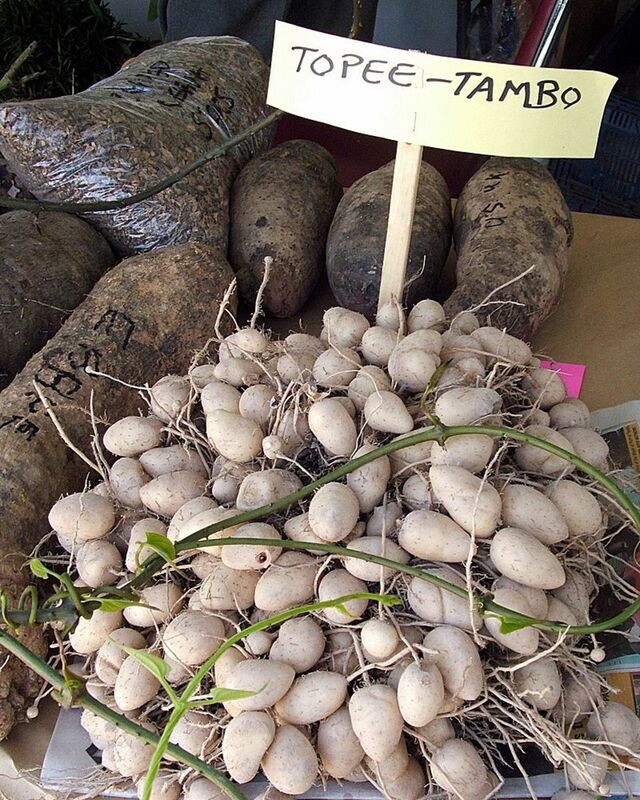 Nor should they be confused with Water Chestnuts which are vegetables growing underwater on a grass-like plant. Although they do mature in the autumn and harvested at that time, they are used throughout he year and especially at Christmas. As you can see, these are somewhat related to each other, all being from the genus Castanea, whereas the horse chestnut is Aesculus hippocastanum, completely unrelated. 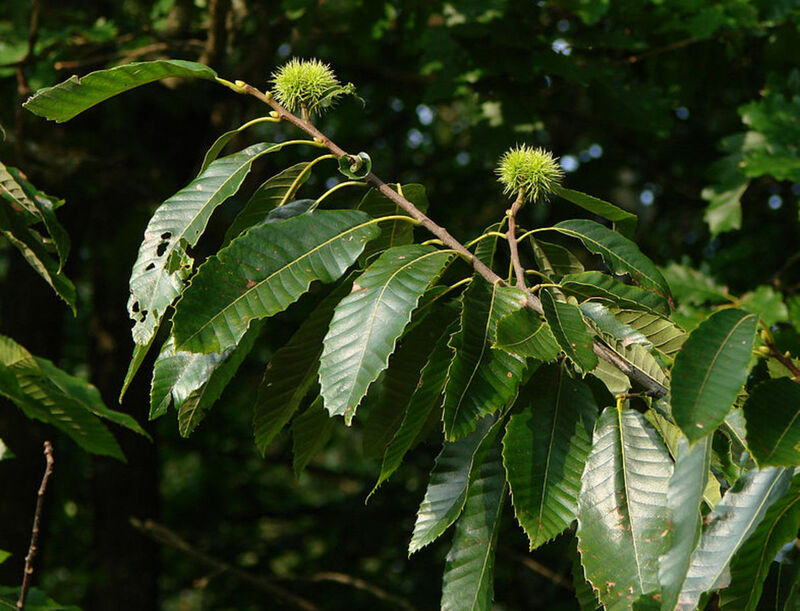 According to Greek and Roman mythology, the chestnut tree symbolises the nymph Nea who preferred to die than give in to the advances of Jupiter. In his rage he turned her into a tree with fruits protected by fierce spikes. Casta Nea = chaste Nea. In fact, much more mundanely, the name seems to come from the Greek word for chestnut, kástanon, itself borrowed from an Asia Minor language. Very similar names are found throughout Europe - châtaigne in French, kastanje in German, kasztan in Polish, castaño in Spanish, castagno (the tree) and castagna (the fruit) in Italian, kistinen and kistin in Breton. Chestnuts are much lower in fats that other nuts. They are low in saturated fats, and in cholesterol and sodium. They are high in carbohydrates but these are complex carbohydrates with a low Glycemic Index, meaning the energy is released slowly. They are gluten free, very good news for many people. They are a good source of several minerals and of vitamin C.
When I was a child, my father used to roast chestnuts beside our open fire. It was huge fun. First you have to score a cross into the outer shell of the chestnut. That was a job for a grown-up! Then the chestnuts were placed along the front of the fire, not too close to the flame. They were turned occasionally. As they roasted the shells would open up and curl back along the line of the cross. Then they were ready and had to be taken away from the fire using long tongs. Peeled and eaten warm, they were delicious, even if you had to toss them from hand to hand until they were cooled enough to peel. That was part of the fun. If you don't want scorched fingers, here are some easier ways to roast some chestnuts, and they'll all achieve similar results. I personally prefer an open griddle because I think that produces a better roast flavour. A lidded container is inclined to steam the chestnuts but they may be more convenient in some circumstances. 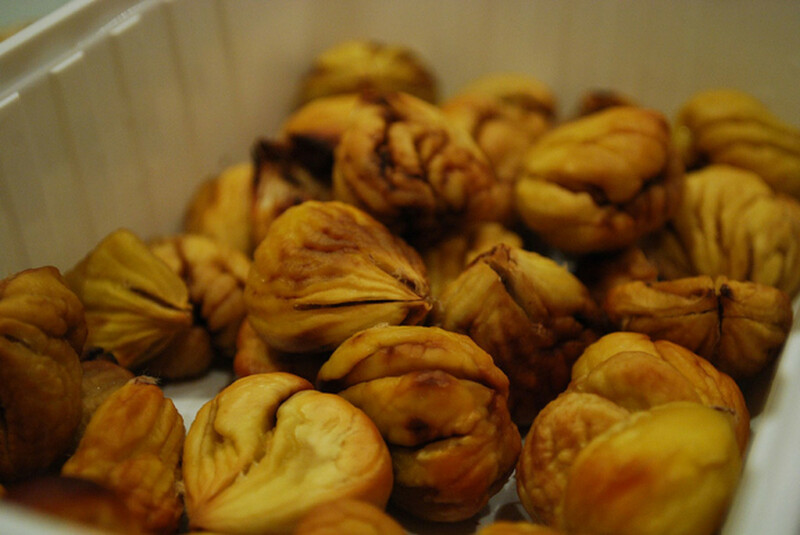 A great way to achieve the authentic flavour of roasted chestnuts. First choose your chestnuts if you can. Use ones that feel heavy and look shiny and are free from holes. It's usually a good idea to buy or collect more than you think you need in case of rejects. ~Score the chestnuts though the shell and the inner skin. ~Place in a saucepan with enough boiling water to cover them. A tablespoon of oil will soften the shell and help in the peeling. ~Drain them and then remove the outer shells. ~Now place in a saucepan once more with boiling water to cover and simmer for 30-40 minutes. ~Drain them again but this time keep the water in reserve. ~You can remove the inner skin with your fingers, or a garlic press is quite effective because the skin is left inside the press and the chestnuts come out already partly pureed. 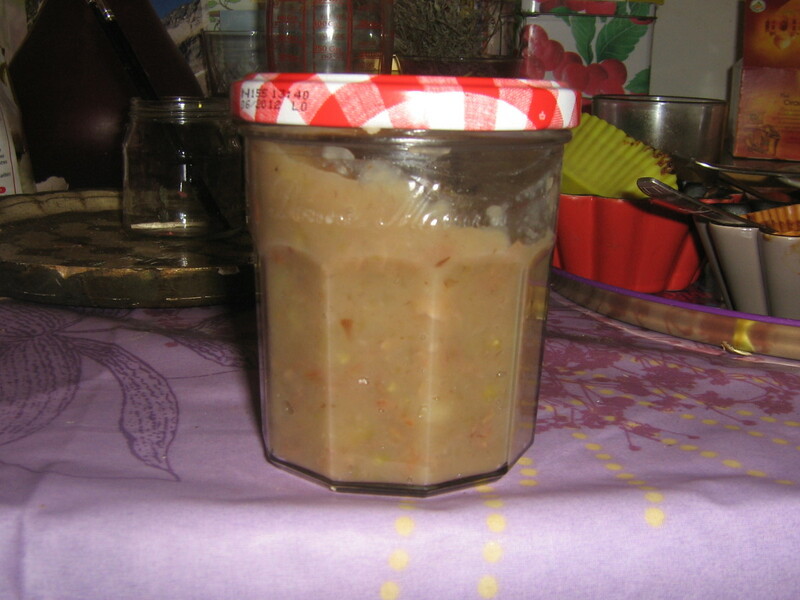 ~Now put the chestnuts through a fine sieve or use a blender/liquidiser to produce a puree. Now on to the recipe proper. This recipe assumes you start with roughly 2 kilos of uncooked chestnuts. If you buy ready peeled and cooked chestnuts, adjust the amounts accordingly. Weigh the chestnut puree and adjust the amount of sugar and cooking liquid (or water) needed. Split the vanilla pods and remove the seeds. Put the water, sugar, vanilla pods and the seeds into a high sided saucepan and heat slowly, stirring continuously. When the sugar is all dissolved, raise the heat until the syrup comes to the boil. Continue until the surface is white with bubbles. Replace on the heat and cook for a further 5 minutes, stirring continuously. When done, use a funnel or ladle to fill the pre-heated jam jars. ...or almost all of them, you can buy ready prepared chestnuts in a can, of go almost the whole way and buy ready made puree, but check whether the latter is sweetened or unsweetened. 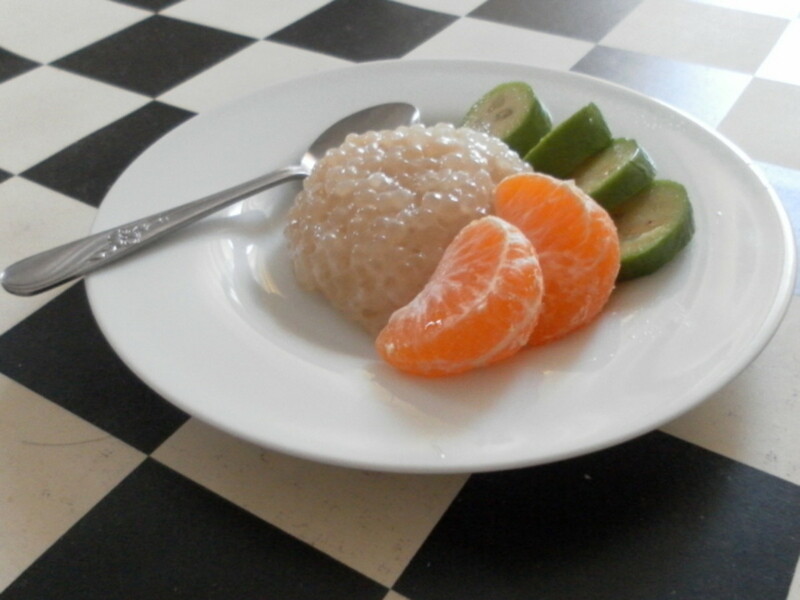 This is a very simple but rich dessert. It can look stunning when layered in individual glass dishes. Put 3 tablespoons of chestnut jam in the bottom of each dessert dish. Add I teaspoon of rum. 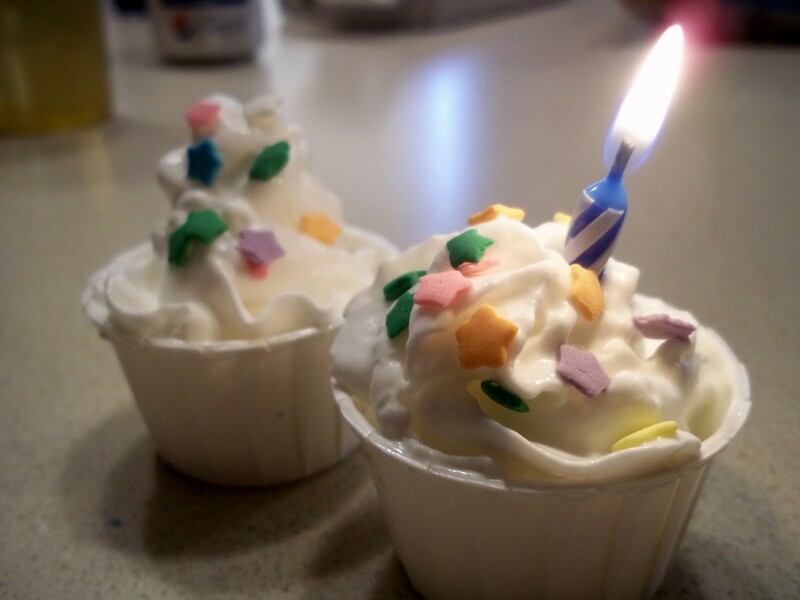 Add enough whipped cream to form a mound on top using a piping bag to make it look prettier. Pass the cocoa powder through a fine sieve over the dessert. 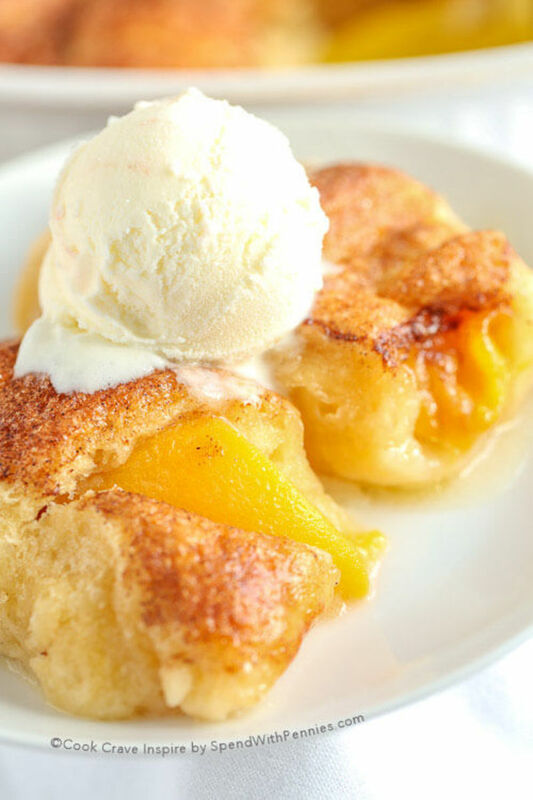 Serve with a cup of good coffee. Beautiful glass bowls can be used for any number of different desserts but they really do make a Mont Blanc with its layers look spectacular. Presentation is everything - you eat with your eyes as well as your mouth, don't forget. 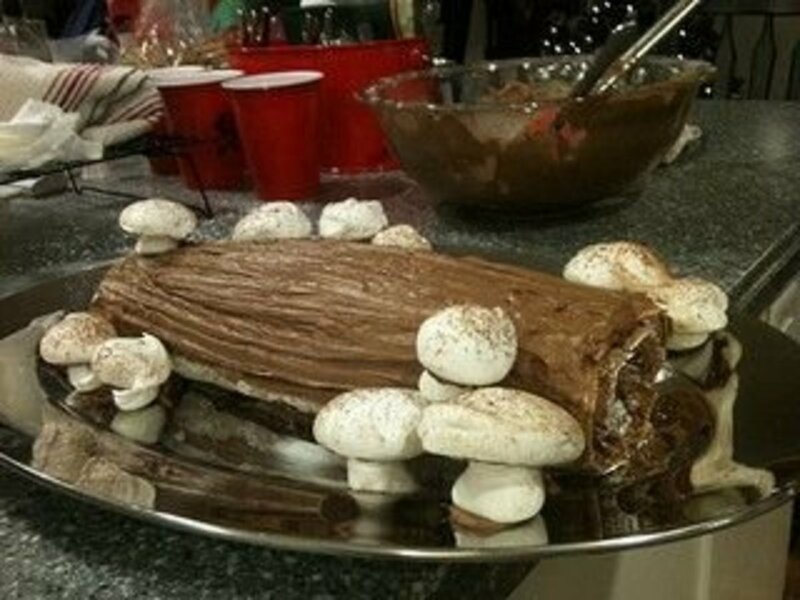 I've made a Christmas log using a number of different recipes. This one, I think, is one of the best. It may sound complicated but in fact it isn't, it just has several stages. More than several, but please don't be daunted. I've tried to give you every last step. As well as the listed ingredients, you will also need a swiss roll tray (approximately 30x40 cm), baking parchment and a dampened clean tea cloth. Add the 100 g sugar to the 4 egg yolks and beat until pale and fluffy. Add in flour, ground almonds and salt while still beating. Add the melted butter. By this stage it may seem a little lumpy. Beat the egg whites until firm. Add a couple of spoonfuls of the whites to the mixture and stir until smooth. Fold in the remaining whites lightly trying to preserve the airiness of the mixture. Line the tin with baking parchment and butter it. Smooth the mixture over the parchment. Cook the sponge for about 15 minutes. Meanwhile make the syrup while the sponge cooks. Place the water and 50 g sugar in a pan and bring slowly to the boil. Make sure the sugar dissolves. Beat the whipping cream with an electric whisk until it just holds its shape. Stir in the chestnut cream gently and evenly. Sir it to make it smooth and shiny. Remove from the heat and add the double cream (heavy cream). Mix well. Add the marscapone cheese. Mix well. Remove the sponge from the oven. Place the sponge with the baking parchment on the damp cloth. Roll up into a log shape, including the parchment. Unroll then re-roll while this time removing the parchment. Unroll once more and place on a cake rack. Spoon the syrup evenly over the sponge until it is soaked up. Cover with the cloth to cool. When the sponge is cooled, spread it with the cream mixture. Roll it up for the last time. If the cream mixture squishes out, just scrape it off. Even off the ends of the log. Wrap it in foil or film and keep cool in the refrigerator. Finally, remove the sponge from its wrapping and cover completely with the chocolate topping. Use a fork to draw lines along its length to resemble a tree's bark. It can be served immediately or later, but if it has been kept in the refrigerator allow it to reach room temperature before serving. to let the flavour develop. Almost everywhere in France, and in Italy too I believe, you will find there is a Fête de la Chatâigne in the late autumn. They tend on the whole to celebrate all autumn fruits, rather like a huge harvest festival. You may get a flavour of these festivals from the following video. Not everyone likes the taste but it's well worth a try. Thanks for the visit! I have never had chestnuts. Looks like I should try them sometime. I really enjoyed the recipes! They nearly had my mouth watering with desire!!! 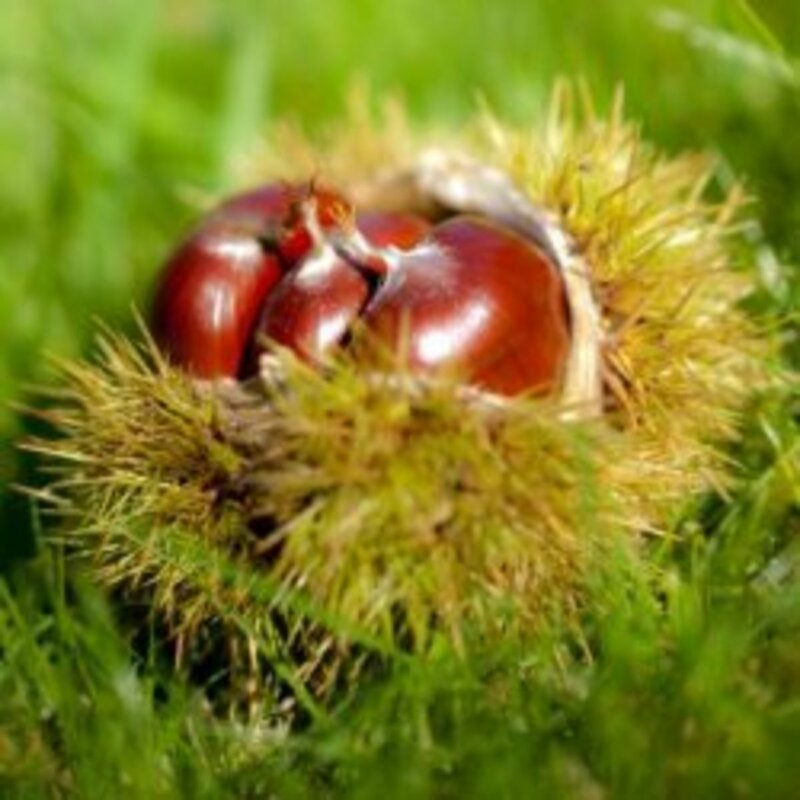 My family and I like to eat chestnut,but sometimes hard to crack it..
We've never eaten chestnuts though where I grew up we played with them off the ground. Chesnut jam? Now I've seen everything. 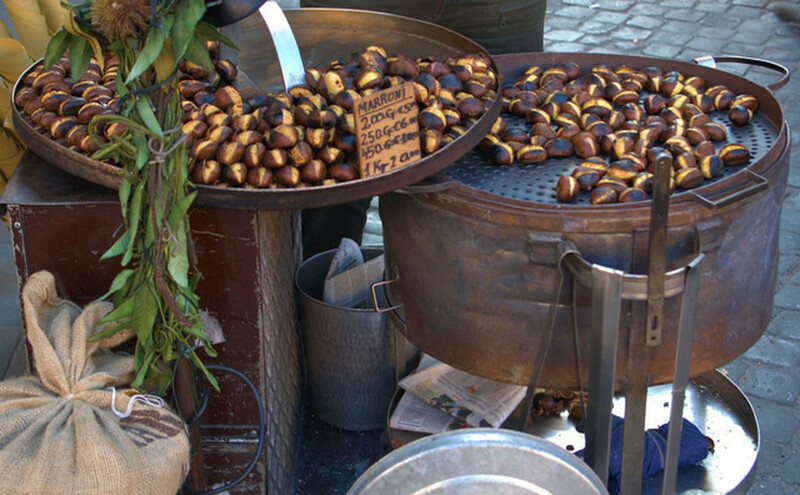 Roasting chestnuts is something I'd always heard of but never gotten to try. Its quite hard to roast chestnuts over a radiator. At some point I'll need to go away find a fire to try them on. I used to eat chestnuts at Christmas time at my grandparents' house but haven't enjoyed that privilege for a long time since they've passed away. 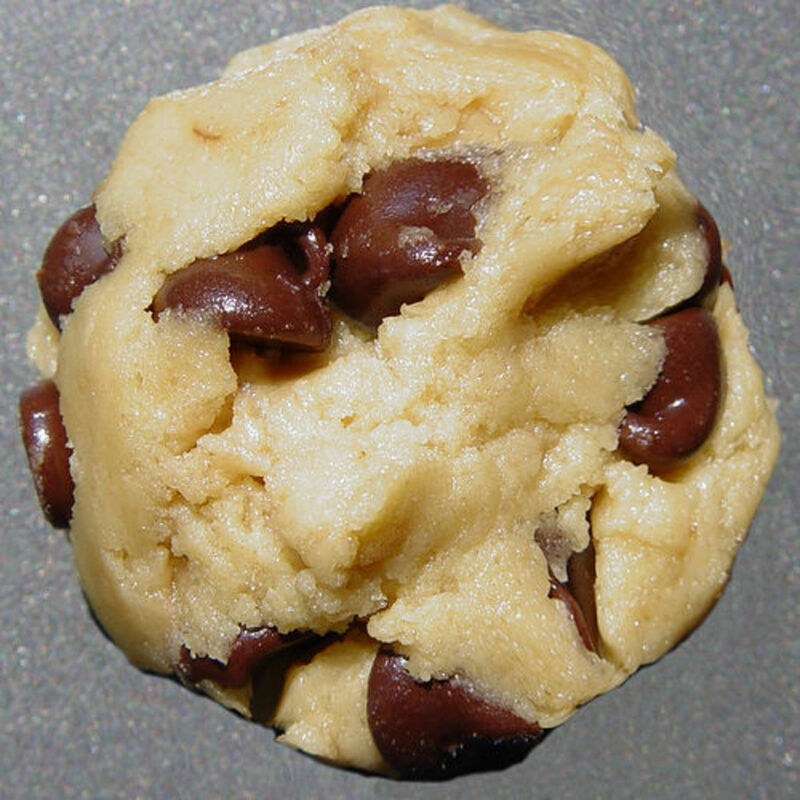 The chestnut butter recipes you've shared here look amazing. Roasted chestnuts make great snacks. I buy the packaged one from the Asian groceries to take to work. Chestnut cream is something new to try. roasted! yes!! yum .nice lens. How do you tell horse chestnuts from regular chestnuts? We have a tree on our street and they sure look like chestnuts to me! Wow, chestnut cream! My problem is that I can never seem to get the nuts out of their shells! Do you have any suggestions for that? Very interesting. I find the roasting part very similar to what we do with cashewnuts in my culture. wow, I must try the chestnuts cream recipe! great lens, thanks for sharing! nice lens, my wife loves chestnuts. Great lens and thanks for sharing with us. I love chestnuts :) Thanks for the recipes. For a chestnut-lover like me, this is a Lens to keep in Favorites! Really awesome, information-packed goodness! Two thumbs up! Great lens! I haven't had roasted chestnuts for quite awhile. I've never had roasted chestnuts but they sure sound good. Now that I've learned all about chestnuts I'll have to give them a try...beautifully presented in every possible, delicious way! It's a holiday tradition in our family, on Christmas Eve my Dad always brings chestnuts and we roast them. Its wonderful. Thanks for a great lens. Oh what a great lens. I can't wait to eat chestnuts! I've eaten warm chestnuts (actually for the first time last year in Mousehole during the Christmas lights turn on!) but these recipes I've never heard of; they sure look delectable and I really want to try them all!!! 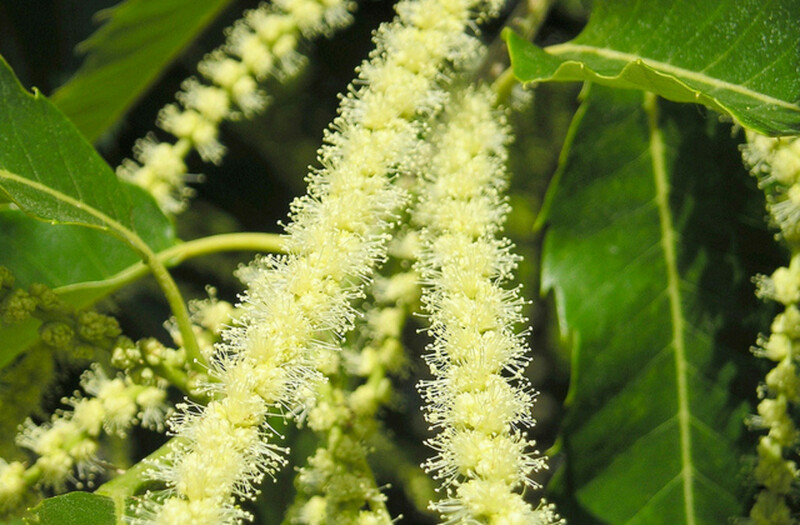 I really like chestnut, and we have several chestunt trees. Thank you for sharing. My grandfather has a chestnut tree and since I was a child I'd hit up that tree and eat chestnuts. Wasn't easy to get them, but so worth it! Awesome article, something we'll have to try with our fireplace! Hi, we cook or fry chestnuts every fall. It's great. I roast chestnuts every year that I host the Christmas dinner. It was an Italian tradition in Nonna's (grandmother) home that I still carry out today. They are delicious. I'd love to try that chestnut cream. I associate Christmas with roasted chestnuts. I love chestnuts! I eat them boiled but now I will try the Chestnut cream. Thanks for the recipes! I've never eaten chestnuts but I would love to. Thanks for the education. Super lens. I live in Limousin, France, and the chestnut is an important part of the culture here in so many ways. A much under used food. Beautiful lens! 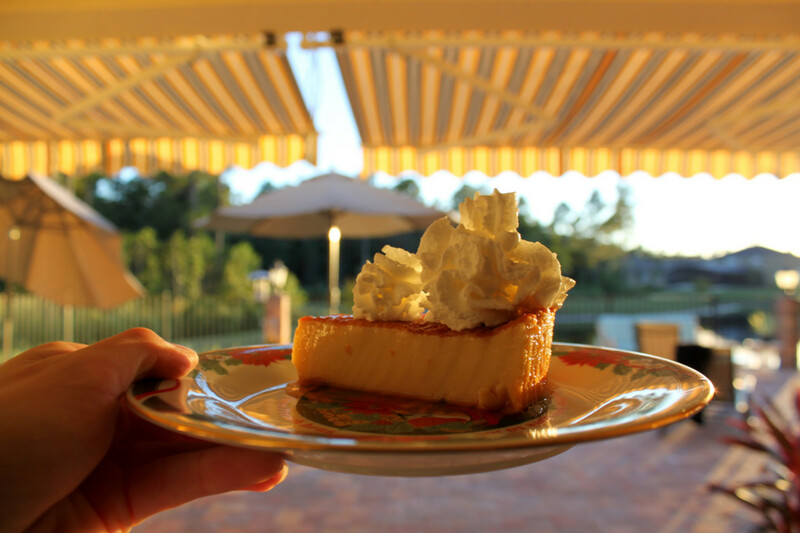 I have a lens about a chesnut cake! Here in China they make a great hot chestnut juice. 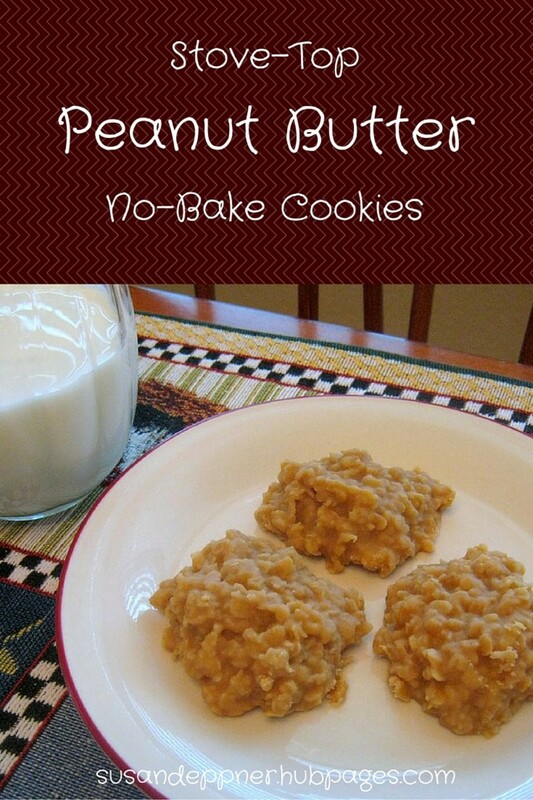 I am going to have to get that recipe to share on squidoo.